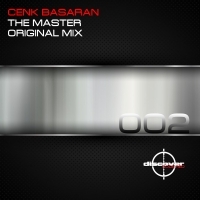 Deep, dark, moody and pulsating - Cenk Basaran delivers exactly the kind of techno we love here at Discover Code Red. Heavy on the groove 'The Master' is unrelenting from the very first beat, conjuring images that are as brutal as they are beautiful. 'The Master' is available now from Beatport and iTunes.